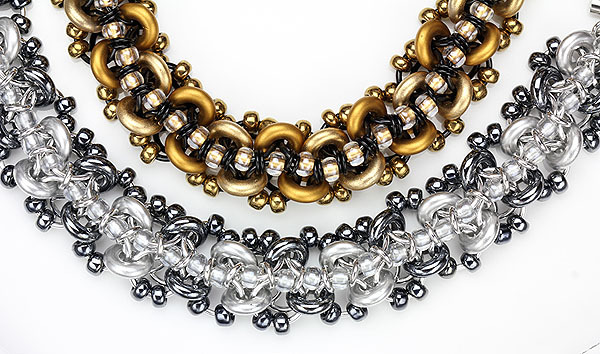 Glamorous metallic glass rings are the highlight in this variation of the original Crosscut bracelet, from Kat’s 2016 book, New Connections in Chain Mail. Students will choose from either the Golden Glamour or Silvery Shimmer version to create their stunning masterpiece. 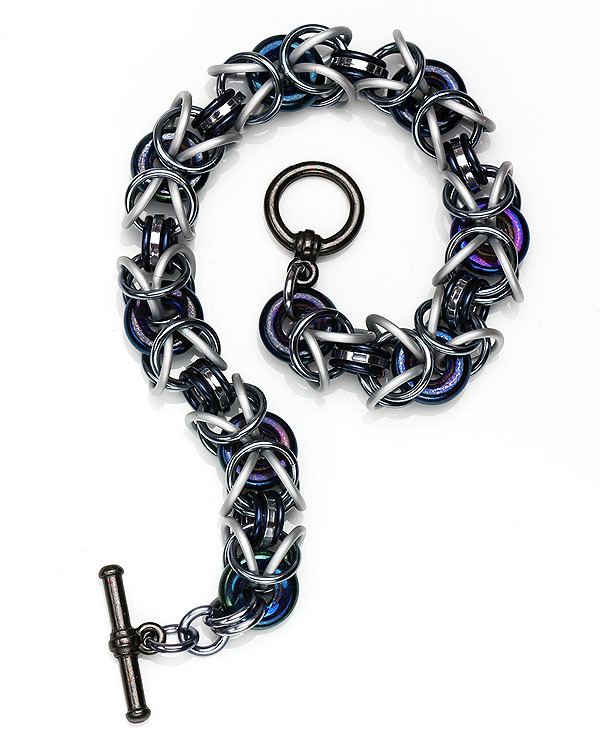 Add metallic iris glass rings and anodized aluminum to chain mail in this fresh take on the popular Byzantine weave. This is the perfect class for those new to chain mail since students will play with unique colors, enameled copper jump rings, square wire jump rings, and more in creating this fun and funky piece!